The folks over at Common Craft have put together a new video that explains social media titled “Social Media in Plain English”. This one features a town that has a serious love of ice cream and the how the residents embrace the fundamentals of social media to everyone’s benefit. You might remember Common Craft from their video explanations of Social Bookmarking and Social Networking. They’ve also covered topics like RSS, Blogs, Podcasting and even Zombies. When it comes to internet marketing, Web 2.0 has redefined the rules. Every fundamental aspect of owning an online business now must incorporate this concept to ensure the potential for positive results. The days of building a site and optimizing it for search engine results are over; there’s someone else who already did that and is moving forward with the next step in their campaign. To win the race, we’ve got to outthink our competitor and outperform them online. To accomplish that, we have to understand the newest concepts in marketing and embrace them as our own. Enter Web 2.0, the natural evolvement of the web and the information within it. That being said, let’s take a step back. 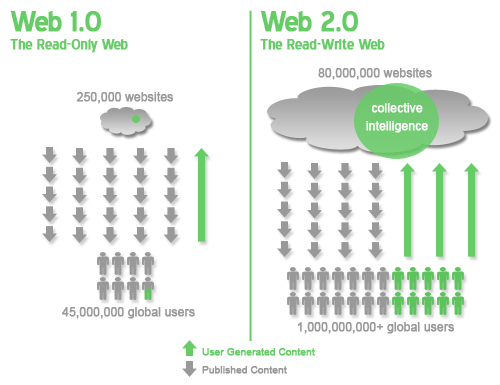 What is Web 2.0? 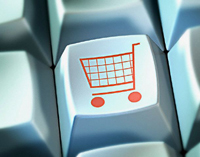 What does it mean and how does it affect marketing and e-commerce? Unfortunately, a concise definition of Web 2.0 has yet to be realized, mostly because it’s an idea that’s still being debated. Wikipedia is the most comprehensive source out there, but it leaves something out in terms of what impact it has had and why it’s important to us. Let’s start by attempting a simple, understandable definition for our purposes. Thank you so much for all you are doing to help me with my online business. I’m seeing a light at the end of the tunnel. I just made my third sale and am excited about the future. Thank you for being so helpful and patient with me. You’re the best. My only regret is that I didn’t find you sooner. The e-commerce industry is filled with different ideas on what’s the best approach for a small business owner. Having spoken with many small business owners, I know there’s some common myths that seem to resonate with website owners more than others. No matter who, where, or how far along in the process they are, an industry like this can spread some serious rumors and propagate some strange ideas. SmallBusinessNewz has been profiling some of these most common myths in two-part video series based on findings from Homestead.com’s CEO & Founder Justin Kitch. The second part in the series, featured below, covers common myths on marketing strategy that really speaks volumes. From my experience, these are definitely some popular misconceptions when it comes to running an online business. Most businesses are just starting to figure out how to get their feet wet with social media. From managing an attractive, trustworthy identity in social networking sites to getting their product and company information posted in social bookmarking sites, this part of a marketing campaign usually takes a back seat to what businesses consider the more immediate concerns, statistics like traffic, sales and conversions. But a new study shows that consumers are using social media more than ever to do research on a company and their reputation before buying, and businesses better start listening, responding and improving if they want to compete in a Web 2.0 marketplace.